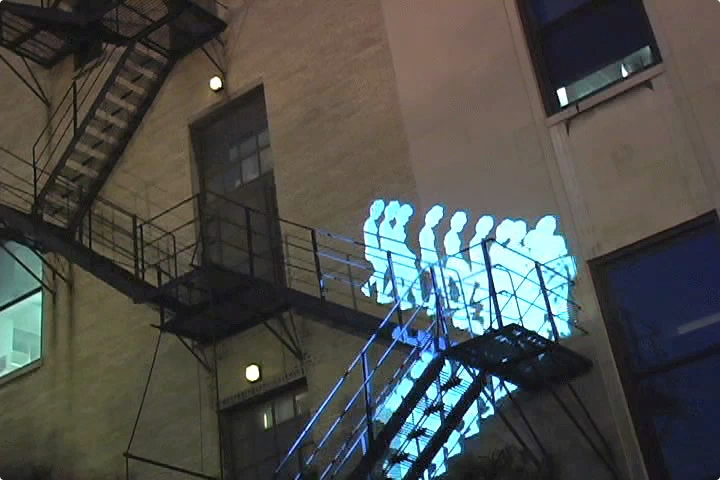 2005 v1b3 was invited by UFVA to organize site specific works in Chicago’s South Loop. 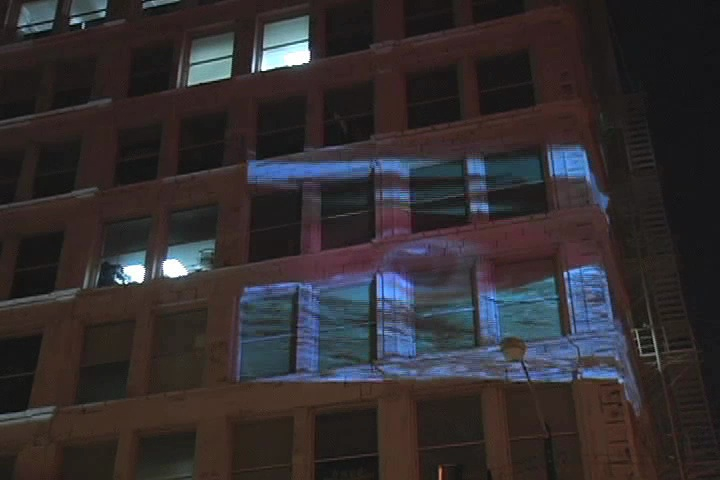 Four artists, presented video work that integrates the built environment and media imagery in a public space. The first in a series of works reflecting on the life of buildings – what has happened in their past, what lies within, and how they relate to the natural environment. This work uses the evocative potential of the fire escape to speak about flight, disappearance, and leave-taking. Based on the social unrest of 1968 in the area of the conference, Preserving Disorder looks at issues of dissent and disorder. A person walking on the sidewalk will interact with images from the summer of ’68, triggering behavior in virtual agents that reflects that of the protestors and police. Rove explores notions of alertness through an examination of travel and commute patterns, and body language. Rove is comprised of two video screens with audio. 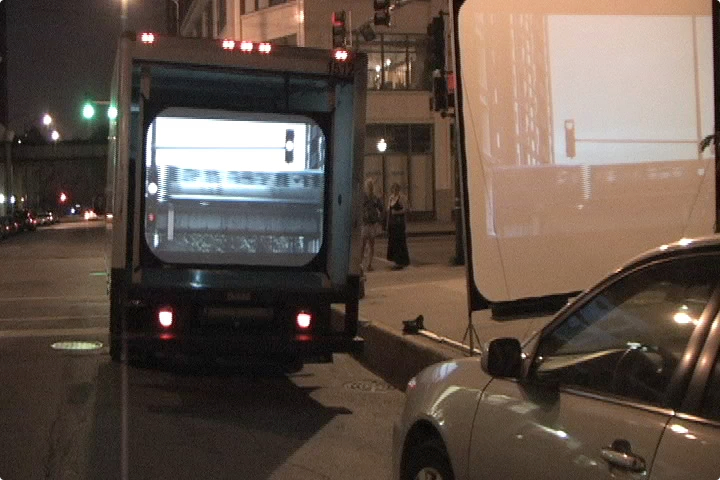 The first video screen is mobile and mounted in the back of a moving van which traces a path in the inner loop of Chicago. A second screen is located by the corners of Wabash and 11th. Once every four minutes the mobile screen will pull up to the stationary screen and rest for one minute after which it will continue its loop. The first screen literally commutes or loops away from and returning to the stationary screen. 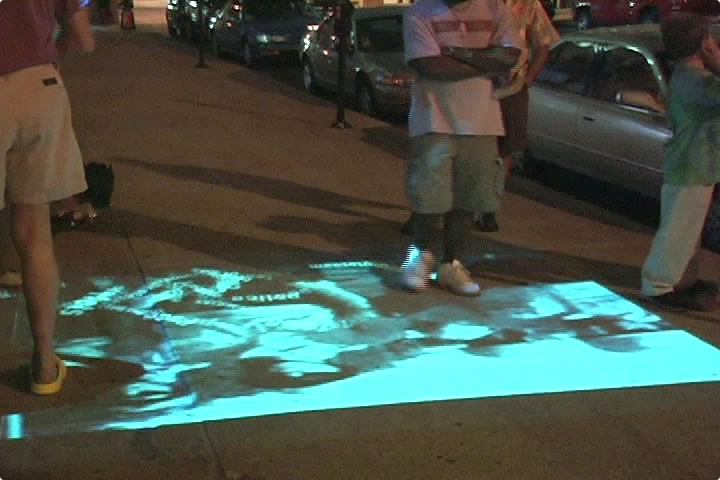 Mat Rappaport is an artist working in video and mediated installation. Though his work, Rappaport seeks to explore the gap between experience and memory and patterns of social interaction. Gleber has produced a documentary about artists living and working in Cuba and written about the shifting role of artists, artwork and an interactive public. The UFVA presentation will project images that suggest a building as a witness, complete with a memory.